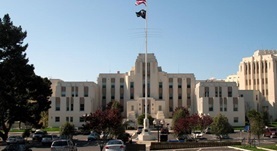 Dr. George Caughey is a specialist in pulmonology in San Francisco, California. 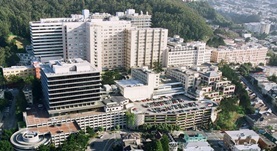 He works at several hospitals in the area, such as UCSF Medical Center and San Franciso Veterans Affairs Medical Center. He got his diploma from Stanford University School of Medicine and did his residency in internal medicine at Pennsylvania Hospital - University of Pennsylvania Health System. Dr. George Caughey is certified in internal medicine and pulmonary disease and has an experience of more than 20 years. Dr. George H. Caughey has contributed to 3 publications. Dipeptidyl Peptidase I Controls Survival from Klebsiella pneumoniae Lung Infection by Processing Surfactant Protein D.
Sutherland, R. E.,Barry, S. S.,Olsen, J. S.,Brenda Salantes, D.,Caughey, G. H.,Wolters, P. J.; Biochem. Biophys. Res. Commun.. 2014 Jun 24. Bronchoalveolar Lavage Cell Immunophenotyping Facilitates Diagnosis of Lung Allograft Rejection. Greenland, J. R.,Jewell, N. P.,Gottschall, M.,Trivedi, N. N.,Kukreja, J.,Hays, S. R.,Singer, J. P.,Golden, J. A.,Caughey, G. H.; Am. J. Transplant.. 2014 Feb 12. Malaria-associated L-Arginine deficiency induces mast cell-associated disruption to intestinal barrier defenses against non-typhoidal Salmonella bacteremia. Chau, J. Y.,Tiffany, C. M.,Nimishakavi, S.,Lawrence, J. A.,Pakpour, N.,Mooney, J. P.,Lokken, K. L.,Caughey, G. H.,Tsolis, R. M.,Luckhart, S.; Infect. Immun.. 2013 Oct.